My thoughts – ‘Tamako Love Story’ is a sequel to the Anime Series ‘Tamako Market’. However I didnt watch the series, so for me the movie was sort of like an introduction to the characters and the story. But that didn’t make me enjoy the movie any less. From the beginning till the end, the movie was fun to watch. At first glance, ‘Tamako love story’ seemed like another mainstream romance/comedy/slice of life anime. But there was something more to it, which made the movie exceptional. The story was simple but heart warming. To some viewers the story might seem slow paced, but for me it was full of beautiful and cute moments. Some scenes were beautifully executed, some moments were perfectly presented, which made the movie worth watching for me. It was not full of romantic scenes or comedic incidents, rather it was simple and soothing without any cliche stuffs, which gave me a very relaxing feeling while watching the movie. Character development was prefect. The movie was only 1 hour and 30 minutes, yet it felt like I had known these characters a long time. It was as if I had seen a whole anime series about this story/characters. 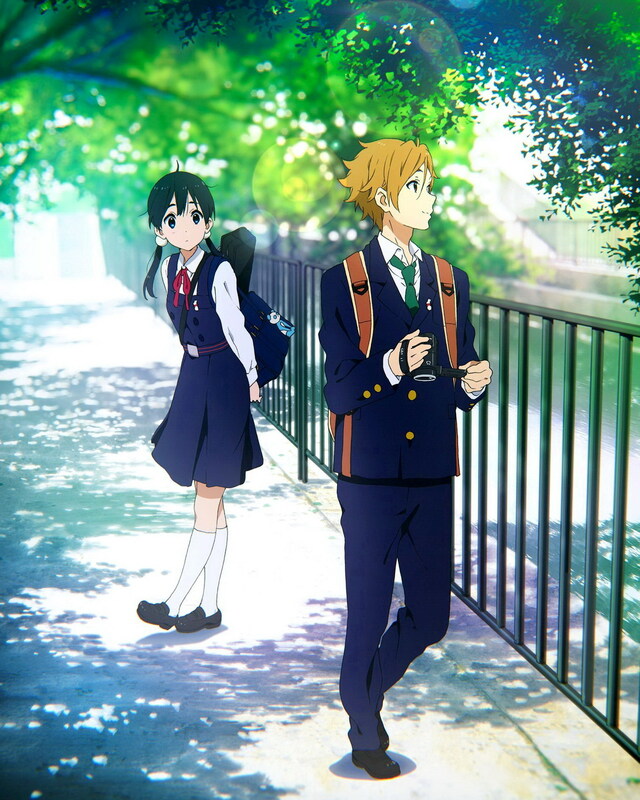 I fell in love with Mochijou & Tamako’s cute love story. They were soo adorable!!! The movie was full of elements that made me feel warm & happy inside. Tamako’s friends, the small little shopping area, the mochi shop, Tamako’s cute family and it’s rivalry yet cute relationship with Mochiijou’s, her friendly neighborhood; those things all together made the movie more enjoyable and fun to watch.